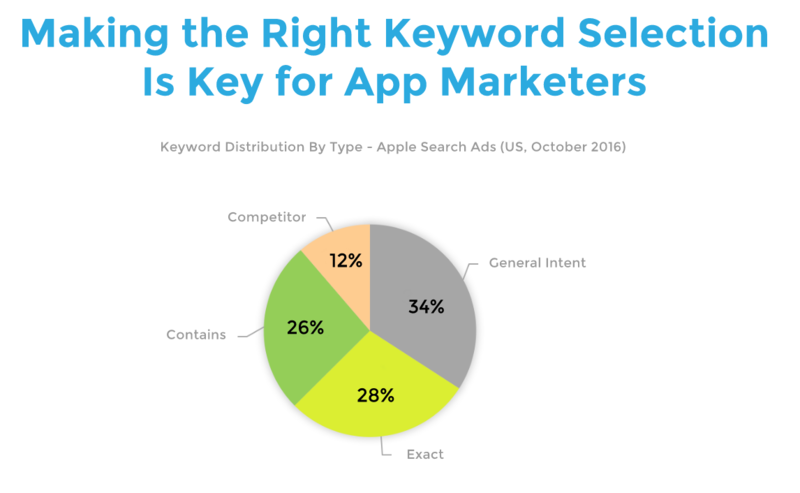 In one of the first studies of Apple search ads campaigns, App MMP AppsFlyer just released a search ads report on findings aggregated from campaigns for 50 apps, with 40,000 keywords driving 100,000 installs (AppsFlyer reports intalls, whereas Apple reports download). Our biggest eyebrow raiser was the doubling of search ads budgets , which indicates that CPT inflation is indeed on the way and perhaps/hopefully that the total available search impressions are increasing. 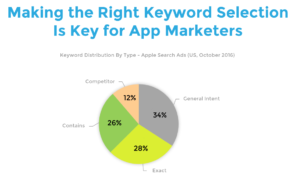 This slide was also interesting, though we have an open question to the Appsflyer team regarding how they classify branded keywords. 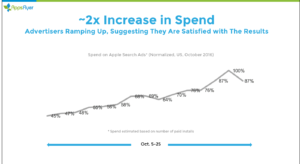 Depending on the answer, it could mean that there is a good dose of reality backing Apple's rosy "65% of installs are sourced from store searches" stat, which is rightly being questioned for usefulness, given the high proportion of branded searches vs "generic" searches making up that 65% number. The Bottom Line: Get the lead out of yer boots and set up yer search ads campaigns before the rest of the gold rushers pile in! Also: use these early days to set up and iterate on your campaigns, to ensure you have the data and best practices to continue competing effectively as CPTs rise.